In December I helped a vacation bible school plan a fun day. I helped organize some carny games that the children really enjoyed. 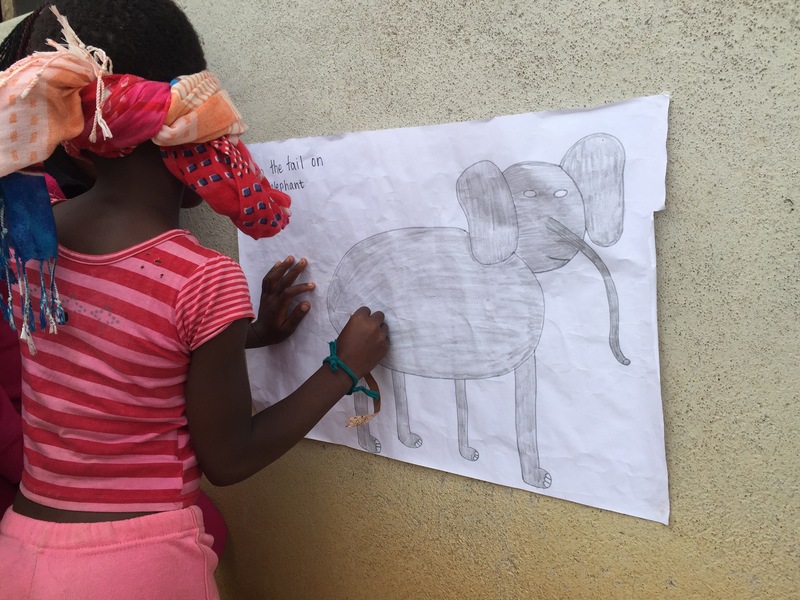 My favorite game was pin the tail on the elephant, which I made myself. We also had sack, wheelbarrow, and egg races; horseshoe; bobbing for apples; and a ball toss. This entry was posted in Africa, Peace Corps, Swaziland, Wednesday photo and tagged Africa, Games, PCV, Peace Corps, Peace Corps Volunteer, Swaziland. Bookmark the permalink. It sounds like it was a fun event for the children. Wondering about the apples. Grown there? Sounds like a really fun Bble school! I haven’t seen any apples growing here, but that doesn’t mean there are none. The ones at the grocery store come from South Africa.